Business with business, wife with wife." It might be fun to watch a bunch of hapless dudes try to reconstruct their night before and find the friend they lost while a rooster and a large predatory animal run around their hotel room, but do you really want to feel their pain? If you’re like most of us, we’ve been there (or nearly there) before. How about for 2014 we resolve to never suffer through a hangover? It's a tall order, we know. But heed the advice of the local authorities we polled on the subject, and we just may succeed. The coffee shop/bar combo at the Radisson Blu Warwick hotel in Rittenhouse Square seems to be an establishment designed to answer this question. Bartender Beth Parente offered-up her hangover advice with a side of science. Parente explained it is all about salt, rehydration and replacing electrolytes. Bloody Marys and Pickle Martinis should help with the mineral imbalance. Follow one of those with an Irish coffee or one of their specialty spirit lattes, if you need a bit of the hair of the dog and a kick. We had to figure a bar that opens at 7 AM everyday but Sunday, and also one that just recently celebrated their 75th Anniversary, should have an authoritative voice on the matter. 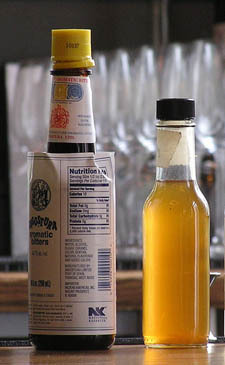 Lou Capozzoli, Ray’s son, said his father used to suggest adding bitters to your morning beverage. This logic can be easily followed considering bitters were at one time considered to be medicinal and were used as digestives. Gail, Ray’s barmaid, seconded Bloody Marys and hair of the dog as cures, which considering Ray’s early morning openings, might be a way to seek some healing at the bar that bit you. “Morning after” can be any time of day at the airport. We checked-in with Ranina Strickland, bartender at the Chickie’s & Pete’s at Terminal A, for her recommendations. Strickland starts-out with a caution about being mindful that different alcohols such as wine, champagne, beer and spirits, vary in their ABV% and constitution, so they can affect us differently. Strickland suggests you think ahead and pick one thing for the night and stick with it. Additional prevention tips include eating well before you drink and eating while you drink. If somehow the party got the better of you, reach for room temperature ginger ale and eat greasy food when you wake-up (whenever that might be) – perhaps a breakfast cheese steak and some tomato juice. Students students everywhere sounds like a hangover factory, so we reached-out to Riley Arendasky, bartender at Mad Mex, home of University City’s 20 oz. Big Azz margaritas. Arendasky has a three-step plan for the Penn and Drexel students of drinking age: Think ahead by avoiding sugary drinks (be careful with those mixed concoctions), and have a glass of water between every boozy shot or drink to both slow you down and keep you hydrated. If, despite your best efforts, you wake-up with your shoes on and no eyebrows, have lots of water and a Bloody Mary. Be safe. Have fun. Happy New Year, Philly.